The vaccine that protects against influenza viruses expected in 2018/2019 has been available in pharmacies for a few days already. 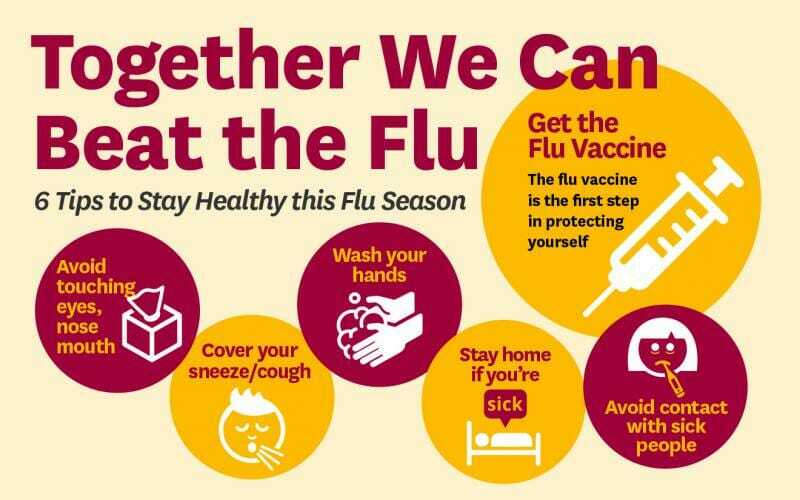 To be effective, vaccination must be carried out before the arrival of influenza viruses (usually at the end of October) so that the body can develop specific antibodies and protect itself. Influenza virus strains in circulation are not the same from one year to the next: one must be vaccinated every year to be protected against new strains of the virus. An annual influenza vaccination is recommended for all people aged 65 and older and for all people at risk of complications. This vaccination helps avoid hospitalization for serious complications and death. Vaccinating people is the only way to prevent influenza in infants under 6 months of age. To be vaccinated and to vaccinate one’s children makes it possible to avoid an illness which causes, at the very least, fever and fatigue for several days. Vaccination against influenza is a duty for health professionals and any professional in contact with people at risk of severe influenza. It helps caregivers (doctors, nurses, nursery carers), personal service professionals (home helpers, carers, childminders) and rescue workers (firefighters, paramedics) avoid transmitting the flu to those most at-risk. In order to ensure continuity of service, vaccinations for people working in critical infrastructures (government, security, energy, water, telecommunications, health) is highly recommended. Influenza protection is achieved within two weeks of vaccination: the vaccine must be administered every year in the fall to protect against the winter epidemic that follows. The composition of the vaccine is updated annually according to the recommendations of the World Health Organization (WHO) and takes into account the viruses that are most likely to circulate during the winter. Mutations of the influenza virus are unpredictable, which may reduce the effectiveness of the vaccine some seasons. 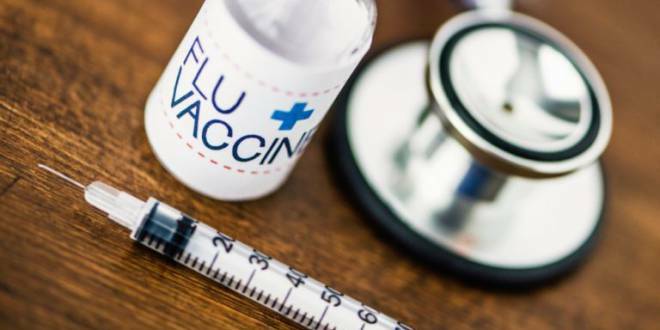 The vaccine is most effective when the types of influenza viruses which formulate the vaccine are close to the strains that actually circulate during the flu season. Immunization against influenza is the most effective way to protect the most vulnerable populations. If it does not always prevent the disease, it reduces the risk of serious complications or death. The side effects of the vaccine are rare and usually not serious (sensitivity at the injection site, minimal influenza-like reaction, which disappears in 1 to 2 days). In no case can the vaccine cause influenza because it contains only an inactivated fraction of the virus. The seasonal flu vaccine is dispensed in pharmacies without a prescription. To be reimbursed, it must be prescribed by a general practitioner, specialist or paediatrician. It must be stored in a refrigerator at + 2 °C to + 8 °C. It must not be frozen. This vaccine is administered intramuscularly or subcutaneously. In the Principality, the health insurance organizations reimburse the vaccine in its entirety to insured persons and their beneficiaries. WHO CAN IMMUNIZE YOU AGAINST THE FLU? Your doctor (general practitioner, specialist, paediatrician) is there to advise you. They will vaccinate you against the flu if you wish. The Office of Occupational Medicine of Monaco ensures the vaccination of eligible people in a professional capacity. IS THE “HOMEOPATHIC VACCINE” A PHEASABLE ALTERNATIVE? It is not a vaccine (use of antigens that cause the body to produce specific antibodies). Homeopathic granules do not prevent infection with the flu virus or its transmission.